It is a municipality located in the National Park of Gran Sasso and Monti della Laga, in the province of L'Aquila. 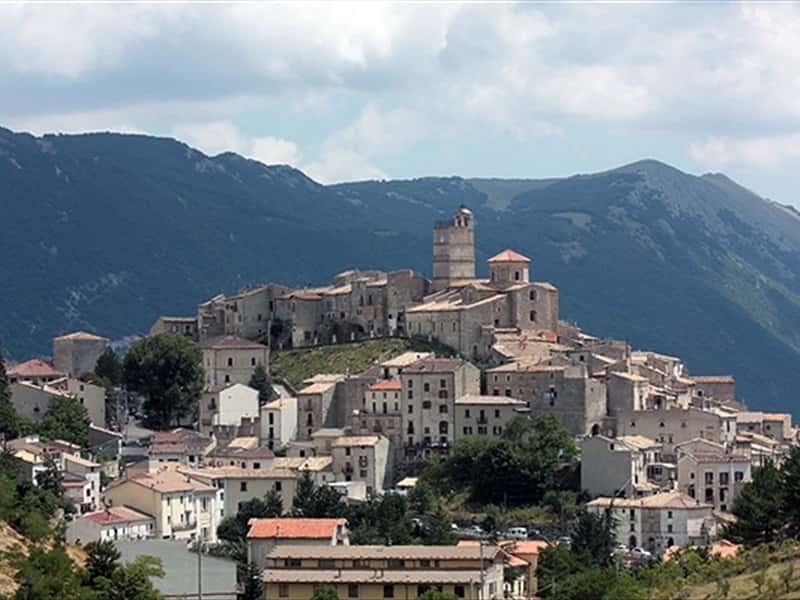 An ideal starting point for pleasant excursions to the beautiful mountains of the Abruzzo region. The name clearly indicates the existence of a fortified village perched on a hill. The area was inhabited since ancient times by Italic populations, also evidenced by the discovery of a necropolis dating to the XI century B.C. Subsequently it became part of the Roman Emprie and with the beginning of the Barbarian invasions, the local population was forced to flee further upstream, creating a defensive watchtower at the highest point. It was mentioned for the first time in a papal bulletin of 1223 with the name of Castellum de Monte. In 1298 the accounts Acquaviva took possession of the village, until they had to cede it to Alessandro Sforza, followed by the Piccolomini, the Medici, until finally in 1743 it became part of the Kingdom of the Two Sicilies. - the antique gateways: Porta San Rocco, Porta Santa Maria and Porta Sant' Ubaldo. This town web page has been visited 23,835 times.